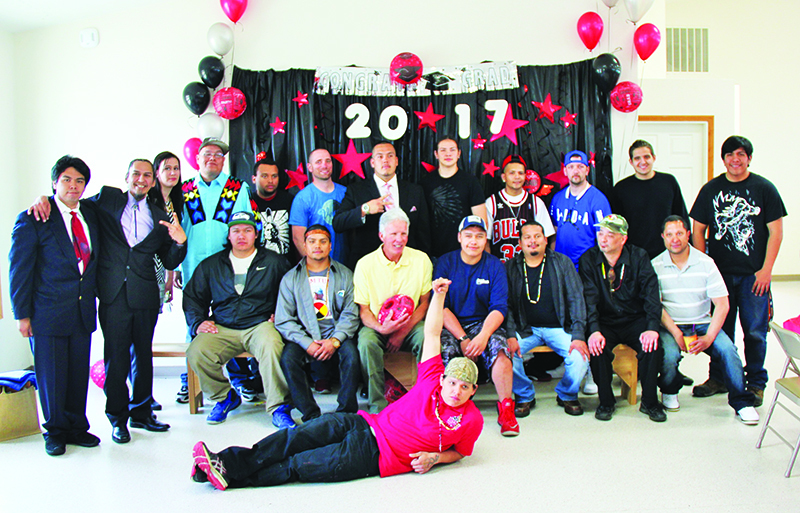 On Friday, May 19, nineteen Native students were honored with a graduation banquet at the Kenny Moses Building for their commitment to training for a better tomorrow. 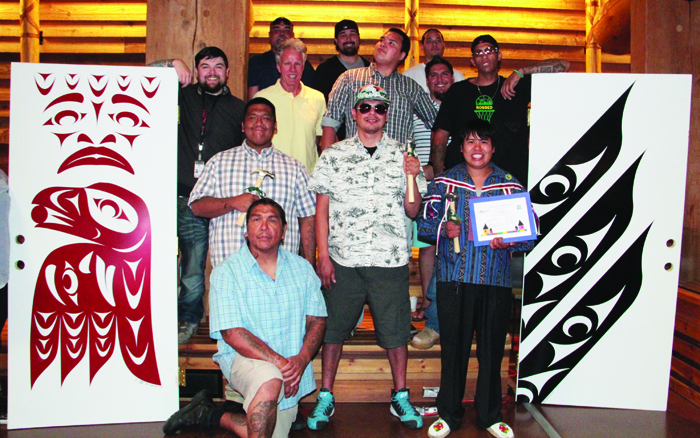 The nineteen students, nine of whom are Tulalip tribal members, were the latest cohort to complete an intensive fourteen-week pre-apprenticeship construction trades program offered by our TERO Vocational Training Center (TVTC). As far as we know, the program, which is managed by the Tulalip TERO department, is the first and only state and nationally recognized Native American pre-apprenticeship program in the country. The program is accredited through South Seattle Community College and Renton Technical College, while all the in-class, hands-on curriculum has been formally approved by the Washington State Apprentice and Training Council. The three-month program provides curriculum that teaches a variety of construction trades and skills that can last a lifetime. Upon completion, the graduate’s dedication to a better future is rewarded with a wide-range of new employment opportunities now available to each graduate as they navigate the construction trades career path. In addition, students are trained and awarded certifications in flagging, first aid/CPR, and OSHA 10-hour safety training. Graduated also have received certification on three pieces of lift equipment, specifically the scissor lift, boom lift, and industrial fork lift. Upon completion of the program students are ready to safely enter the construction work environment and demonstrate everything they’ve learned. 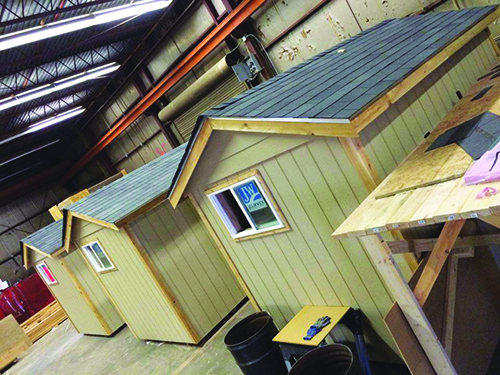 Under the supervision of instructors Mark Newland and Billy Burchett, the students constructed three tiny houses for their final class project. These houses, which are approximately 120-square-feet in size, are being donated to homeless families located at a homeless village in Seattle’s Georgetown neighborhood. The insulated houses will be a major upgrade for their soon-to-be residents as they offer electricity, heat, a much safer environment and, most importantly, a measure of stability for their new residents. “TVTC works with Low Income Housing Institute (LIHI). To date we have built 15 Tiny Homes for this organization, which donates all supplies required. This has saved TVTC thousands of dollars as these house are used for training purposes, and lumber that was previously purchased for class is no longer needed,” explains TERO Coordinator Lynne Bansemer. This Spring session also had a very big impact on the Tulalip community, making key contributions that have left an imprint on several reservation areas. The TVTC construction trades pre-apprenticeship program is a unique, nationally known model that supports tribal members from sovereign nations across the United States. The program is not dependent on tribal hard dollars. In fact, zero hard dollars are used to fund it. Instead, due to the dedication and commitment of so many individuals the TVTC program continues to grow and gain more recognition while being funded by the graciousness of the Tulalip Charitable Fund, W.K. Kellogg Foundation, DOT’s Ladders of Opportunity Grant, and the Washington State Department of Transportation (WSDOT) Pass Grant. Since the Fall of 2013, when TERO took over the program, 127 students have graduated the pre-apprenticeship program. Of those 127 graduates, 52 have been Tulalip Tribal members, and 13 have either been Tulalip spouses or parents. That’s 65 graduates from Tulalip and 62 fellow Native Americans from all over the region who have opted to train for a better tomorrow and complete the construction training program. TVTC has seen an increasing number of persons who balance a full-time job while attending the training program. This term they had seven students who came to training every day that held full-time jobs as well. People want more, and they are seeing the path to obtain it. 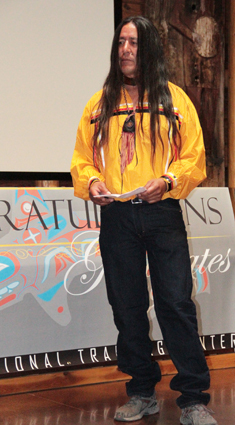 Among this graduating class is 22-year-old Robert Sloss, a member of the Shoshone-Bannock Tribes. Only a few short months ago, Robert was unemployed and living on the Wind River Reservation in Wyoming when his girlfriend’s grandma told him about the Tulalip construction program she’d recently heard of. Figuring it was worth a shot, Robert found the application online and submitted it the next day. After being accepted into the program, Robert packed up a few personal belongings and drove from Wyoming to Tulalip to begin his new journey. For four-months, while taking the TVTC program, he rented a camper at the Lake Ki RV Resort located 20-minutes north of Tulalip. Robert had never been to this area before and knew no one. Now, he says he’s made a lot of friends, loves this area, and looks forward to many new opportunities.